– USA! USA! USA! Who doesn’t love that moment when a stadium erupts into a USA chant? 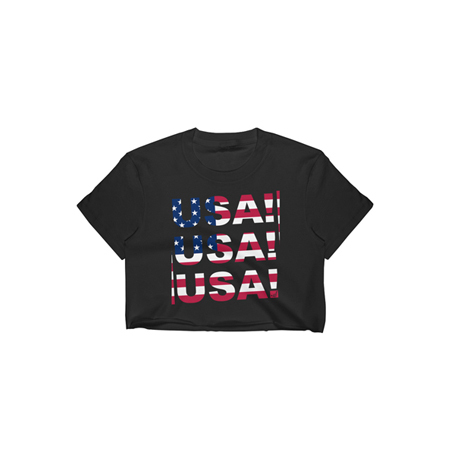 This is the perfect cropped tee to rock at your next country concert.